Quality, health and safety and customer satisfaction are the CDS Group’s constant goals. Thanks to the commitment of Manuel Danesi, our quality certification manager, we have developed an ISO 9001 and ISO 18001 certified Integrated Quality and Safety Control System that carefully monitors every process, from the development and design phases to the completion of construction. CDS also has a pro-sustainability approach as confirmed by our decision to observe LEED certification requirements in the construction of our latest projects, the Adigeo Centre in Verona and the Valle Aurelia Mall in Rome. Our aim is to achieve Gold level always. In its building design and construction, CDS complies with LEED standards, a voluntary certification programme that covers the building’s entire lifecycle, from its original design to its actual construction, by analysing key performance sectors like energy and water saving, reducing CO2 emissions and improving the ecological quality of its design and interiors, the materials and resources used and the choice of site. 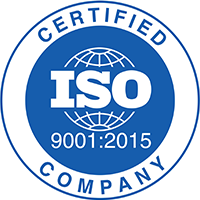 CDS is UNI EN ISO 9001:2015 certified and has implemented all the best practices and procedures to guarantee the highest quality standards for project implementation and customer satisfaction. 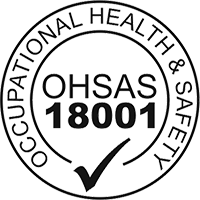 CDS has been awarded the occupational health and safety standard certification BS OHSAS 18001:2007 and adopts a zero-tolerance policy towards any problem that has an impact on safety. 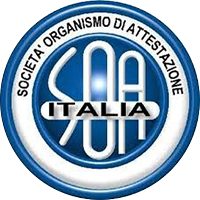 CDS has been awarded SOA certification for performing public works in the unrestricted category of the OG1 VIII segment.